The managing director of outdoor transformation specialists Harbron Home Improvements has urged customers looking for a resin path or driveway installer to exercise extreme caution. James Harbron said his company’s in-house installation team have been hired by a number of clients recently to put right poor workmanship carried out by other installers. Issues that can arise are shown in the photos. 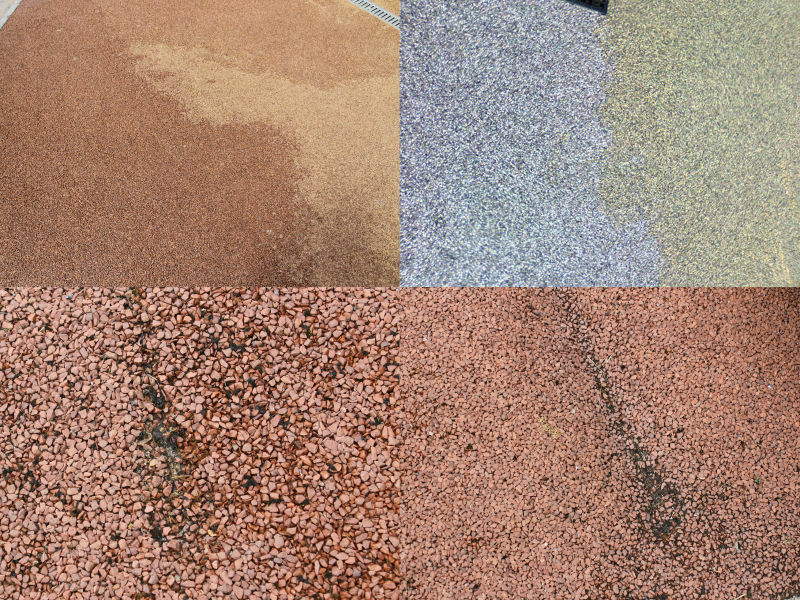 The top two are of a driveway without protection against UV and the bottom two, where the resin has been incorrectly mixed. “There are many highly proficient specialists working with resin products across the region who, like us, take great pride in completing a professional finish to the highest of specifications,” said James. James said that there were a number of simple checks people can do to root out those builders it is best to avoid, and one of the main alarm bells is those who insist on cash payment, or part cash payment up front. Paying cash for the whole project will mean no comeback if the work is of a poor quality or if the builder fails to complete it. Payment should only be made once the job has been satisfactorily completed and if the work requires payment of instalments, this must be agreed in advance - and in writing. Also, avoid those builders who refuse to sign a contract agreement or produce any paperwork and those who refuse to agree even a basic timescale for the work. Any reputable and experienced builder will know roughly how long a project is likely to take. It is also important to check that a builder is also VAT registered as any company taking on large projects must be. Check for a registered business address too, as well as at least a mobile telephone number, so you have a point of contact if something goes wrong. “Any professional builder with an established reputation will be also able to provide you with written references too, and make sure you check them thoroughly,” said James.